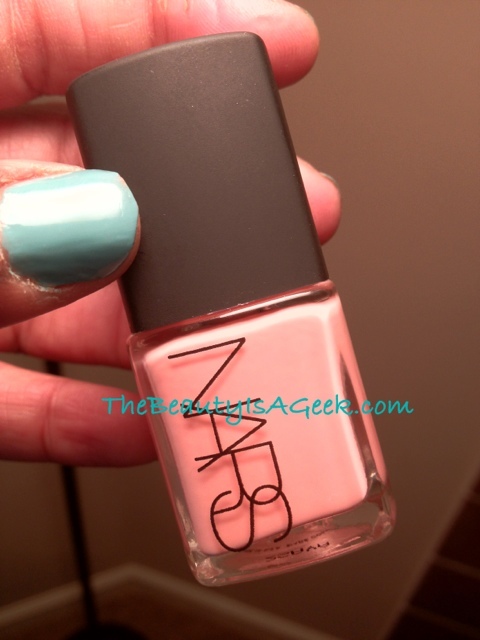 For Spring 2012 NARS offers a pretty seashell pink nail polish named ‘Trouville’ for fishing village in France. The name goes along nicely with this interestingly edited collection. I can’t say this isn’t a color that is easily dupeable (because it is) but it is a beautiful color that is muted enough to go well with everything yet provides enough of a pop of color to make itself known when seen. I knew this was a dupeable color but I purchased it (with a 20% off code) because it was a creme finish and I wanted to test the formula. It streaks pretty badly at one (1) coat, evens out at two (2) coats but looks the most flawless with three (3) coats. 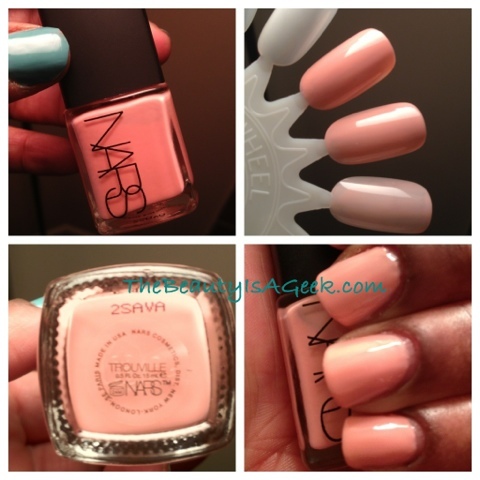 Performance-wise it held up as well as I have come to expect from NARS polishes. I wore it for only three days but within that time there was some tipwear (I was typing like crazy during that time) but no chipping. I would highly recommend using a ridge filler and waiting at least 5 minutes between coats to allow the polish to dry. Because the color is so easily copied by other (and cheaper) brands, this isn’t what I would call a ‘must buy’. But if you’re into collecting NARS polishes, this is a very pretty color that is work-safe and conservative office safe. NARS Trouville comes in the standard 0.4oz bottle and currently retails for $18 USD. It is available for purchase at NARSCosmetics.com, Sephora.com and Nordstrom.com as well as other upscale beauty retailers.